This creative design demonstrates that, even in compact yards, space can be maximised to ensure you have everything you could hope for. 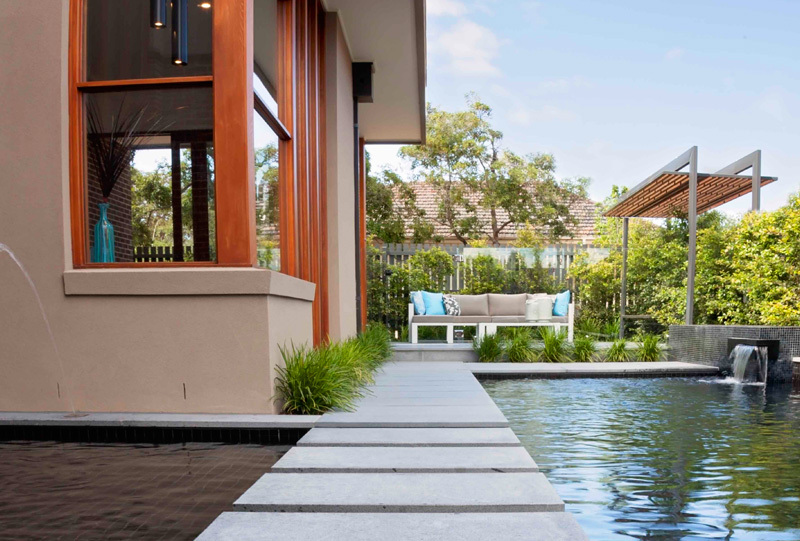 There are two separate sitting areas around this pool, and a water feature and stepping stones add those extra “wow” elements, without compromising on functionality. 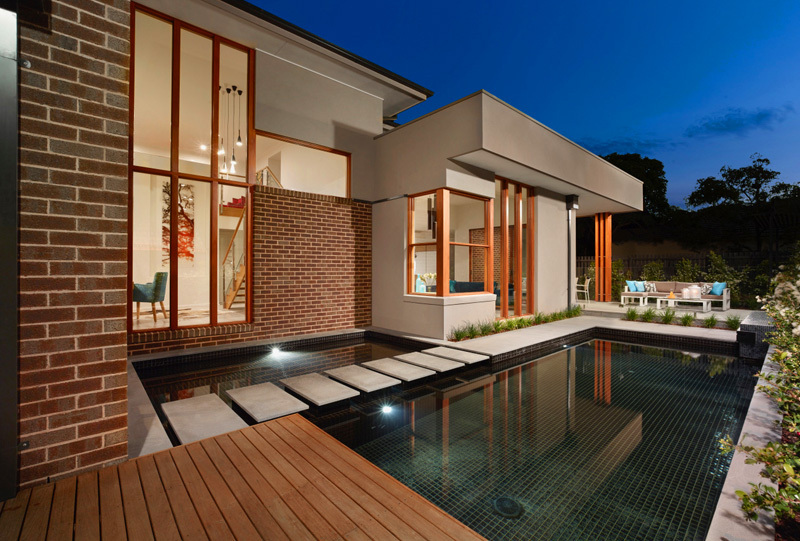 The pool equipment is cleverly hidden behind screens and the pool is positioned against the home so it can be enjoyed whether you’re inside or out. This pool and landscape is located at a Comdain Homes display. We have a great working relationship with Comdain Homes and have completed a number of projects with them.